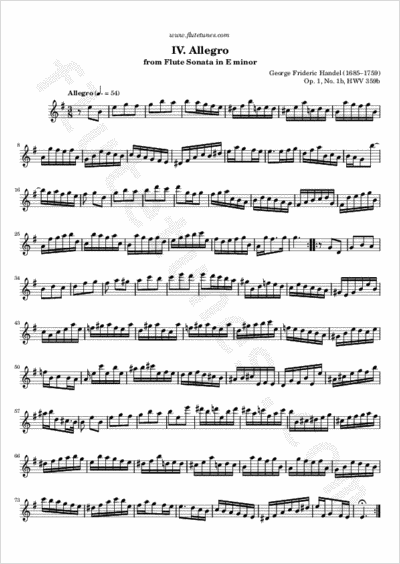 This binary-form Allegro in E minor is the fourth and final movement of Georg Frideric Handel's Sonata in E minor for Flute, Op. 1, No. 1b. Thanks to Grise for suggesting this piece!